This photograph of the famous Wailua Falls was taken on the island of Kauai. 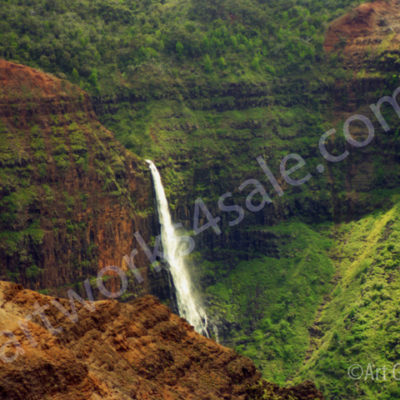 Our Kauai waterfalls photo prints are made to exacting standards using only quality materials. All of our pictures and prints are custom ordered for our customers. This usually requires approximately two weeks from the time the order is placed and paid for. All of our landscape photos are personally inspected by the Artist before shipping, rolled in a rigid tube container. We want you to be able to enjoy these unique photographs for many, many years. We recommend that you arrange for matting and framing your photo print upon receipt. We use a premium satin RC instant dry photographic quality inkjet paper that features unrivaled image quality. The bright white tint of the media has excellent versatility across a broad range of photo and display-graphics applications. This is our standard paper for high quality enlargements. All of our prints for sale are made using pigmented inks for unmatched archival longevity and fade resistance. The combination of pigmented ink and premium satin RC paper creates an image that is fade resistant for more than 100 years. We are proud to offer such an incredible product to customers. If you are looking for larger photo prints, this can be arranged. Just contact us and we can quote you a price for the size you have in mind. 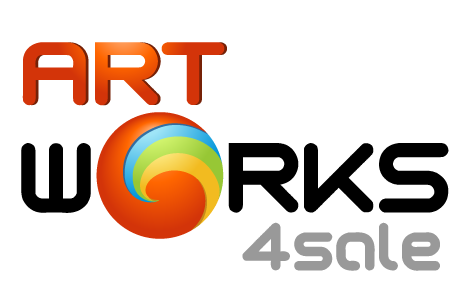 The images on our website are lower resolution images protected by visible and invisible watermarks. 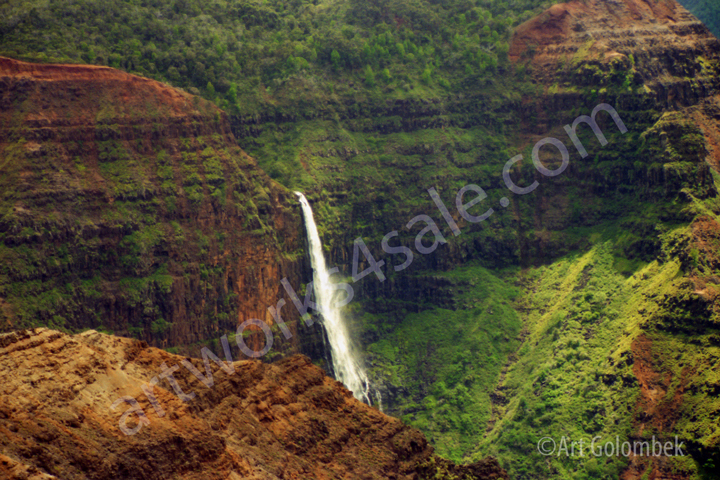 The waterfalls pictures we ship to you are a higher resolution and do not have these watermarks. We want you to enjoy having these photo prints for giving and for framing.